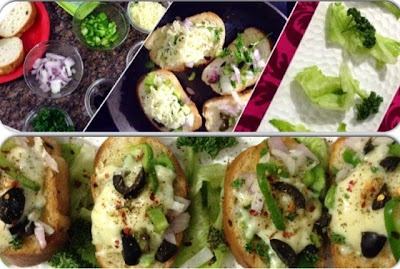 Many times we want to serve our kids fancy recipes served in restaurants, however not feasible to go out often. 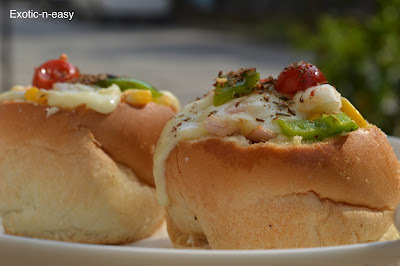 For this recipe you don't need specialized equipment, we will make this only on our Pan. 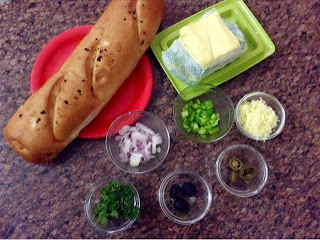 Restaurant styled "Garlic Bread @ Home"
Garlic bread @ home is ready, serve it hot with chilly flakes & pizza seasoning. If garlic bread is not available you can use normal bread and while toasting it with butter you can add little bit of fresh grated garlic to it. If Jalapenos is not available you can use normal green chilly. To make your bread crispy keep gas at sim.